Working people and their unions want a future in which the environment is protected and where sustainable industries create decent, safe and healthy work. That, essentially, implies changes in present patterns of production and consumption. However, if society wants workers and their unions to make changes to what they are doing today; logic dictates that it must be able to tell them what they will be doing tomorrow. Furthermore, it had better sound good; otherwise the resistance to change will be overwhelming. The challenge is to build a bridge from where we are now; to the future we must reach. A Just Transition for workers, their families, and their communities is the essential prerequisite for a movement towards a sustainable future. Such a transition would incorporate the elements of sustainable industrial policy; robust social protections; and creative labour-market adjustment programs. In popular understanding of climate issues, unscientific scepticism often triumphs over science because it is a form of asymmetric warfare. Scientists are not engaged in a scholarly debate with other scientists but are debating a climate-denial noise machine. A scientist may spend years researching climatic forces and refining the algorithms in a climate model, and finally publishing a scholarly paper in a peer-reviewed journal; only to have the noise machine ridicule it and be given equal weight to real science in the popular media. In the face of rejection, the scientist responds with further years of research and another peer-reviewed paper. There is a possibility that it will again be rebutted when it is released, and the cycle continues. The objective of the climate-denialists is to delay change by creating fear, uncertainty, and doubt. This has little; if anything at all, to do with genuine scientific debate and everything to do with trillions of dollars of fossil-fuel assets whose value may be reduced, should the world ever get serious about addressing climate change. A handful of billionaires who fund the climate denial noise machine know that there are too few of them in number where governments still claim to be democratic. Therefore, they must enlist the support of the ordinary people. They do this by creating fear; framing the question as one of jobs versus the environment; feigning concern for jobs (when in any other context they scheme to slash them). We cannot allow the question to be framed as “jobs versus the environment”. We must strive to have both decent jobs and a healthy environment, or we will ultimately have neither. The fear of change must be reduced; and the way to reduce it is to assure people that the transition to a sustainable future will be a just and fair one for everyone. If we do not plan a Just Transition, we guarantee an unjust one. While billionaires prepare safe havens for themselves and their money, workers will pay the real price of climate change, as will, disproportionately, the world's poorest populations. It is, in fact, a class war. Just Transition charts a pathway towards a sustainable future, and addresses the problem of who benefits from it, and who pays the price for adjustments demanded to get there. It is often assumed that the greener jobs created in a move towards a sustainable economy will solve the problem, but where will those jobs be, and who will be able to get them? Will they be decent jobs? The future we want will have to have something to offer not only to new workers in greener industries, but also to existing workers in existing industries – and their families, and the communities that depend upon them. A Just Transition requires three elements: (1) sustainable industrial policy; (2) robust social protection or “safety nets”; (3) wide-reaching and creative labour adjustment programs. It should be made clear that none of these three elements can be delivered by the supposed free market. Only governments have the institutional strength and authority to stand up to irresponsible private interests; but through ideology or corruption have so far failed to do so. It is governments that must act, and act now, in the interests of their citizens and generations to come. Whether they admit it or not, all countries favour certain economic activities over others. This is done through e.g. economic instruments such as taxes, royalties, and subsidies, or by publicly-supported research and development at universities, hospitals, and other public institutions. In some cases the subsidies are hidden in military budgets, or in the building or maintenance of infrastructure that is more beneficial to certain industries than others. Even countries that claim to be committed to deregulation and the so-called free market do this. A sustainable industrial policy simply proposes that incentives and disincentives be deliberately chosen to favour economic activities, e.g. low-carbon energy systems that are likely to result in a sustainable future. Consideration must be given to both the quantity and quality of job creation, protection of human rights and dignity. Sustainable jobs are decent jobs; not precarious sweat-shop jobs. This includes public commitment to research and development. Research and development into improved technologies must be publicly supported. With a few exceptions, the private sector has shown itself to be disinterested in investing in the sciences we will need, and it is not reasonable to expect that this behaviour will change. People heavily invested in an existing industry and its reserves of hydrocarbons are not eager to invent a replacement for that industry or cause a devaluation of those reserves. A robust social safety net is an absolute prerequisite to a Just Transition. Ideally, social programs should be considered a fundamental aspect of any society that subscribes to fairness. Thus there should be no need to invent neither direct social assistance nor social protections of any kind (pensions; health care; workers' compensation; education; employment services). Yet, rather than strengthening them, many governments seem set on weakening or destroying them for ideological reasons. Thus, the neo-liberal attack on social programs can be seen as one of the obstacles to effective action on climate change. Even if large numbers of existing jobs are made greener, and large numbers of new greener jobs are created, there must be a safety net e.g. to catch those whose jobs are not transformed; and who are unable to access new jobs. Getting to sustainability will require a level of creativity with labour market adjustment programs not seen since the end of World War II. At that time, the need to demobilise hundreds of thousands of troops and re-integrate them into the labour market led at least some countries (notably the USA) to implement imaginative and generous measures of preferential hiring, education benefits and other employment programs. Labour adjustments for a Just Transition would be an all-encompassing approach to help workers, their families, and their communities. It cannot merely be an enhanced unemployment program. It must involve workers in its design, and it must be customized to each situation. Workers in jobs deemed by society to be unsustainable cannot simply be displaced and disposed of; effectively burdening those few workers with the full cost of an adjustment that is meant to benefit all of humanity. Affected workers deserve to be given preferential placement in other available jobs; decent work with their pay and benefits maintained. They must have the final say on what education or re-training programs they themselves feel would most benefit their individual strengths and talents. Older workers should be given the option of an enhanced path to early retirement, if they prefer that over re-employment or re-training. Furthermore, their families, their communities, and their institutions – including trade unions representing their interests through the adjustment process – must be protected and kept whole. Creative restructuring programs for existing industries, or industrial sites, to incorporate new efficiencies or shift to entirely new and greener products, should also be available. Climate change threatens everything the labour movement stands for: fairness; social justice; decent work. The science is unequivocal. The need for action to limit (no longer prevent) climate disruption is clear, and urgent. Relating to the fast and drastically changing climate, recent weather events illustrate the urgency for nations to accept firm and ambitious emissions reductions targets. The time has come for trade unions to rise to this challenge. A Just Transition would protect workers, allow affected individuals and communities the greatest possible say in what their opportunities and needs are and how they could be supported, and thus reduce the fear barrier. A transformation is coming. 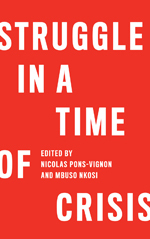 The choice we have will lie between whether it will be a violent scramble for resources such as water, energy, and fertile land; desperate last-minute survival measures that completely dismiss human rights and social protection; or an orderly and Just Transition that respects and protects today's workers while creating new, decent work in sustainable industries for tomorrow's. 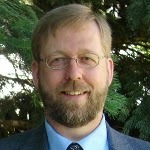 Brian Kohler is Director for Health, Safety and Sustainability at IndustriALL Global Union. A life-long trade unionist, Brian is presently working on his PhD in sustainable energy systems. You say: “It is governments that must act, and act now, in the interests of their citizens and generations to come.” I fully agree, and would add “with all the citizens involved in a democratic and participatory manner”. Mechanisms of social dialogue, including the practice of tripartism and collective bargaining, should serve as effective tools for the design of transition policies at all levels. At its 102nd Session in 2013, the International Labour Conference (ILC), adopted the Conclusions Concerning Sustainable Development, Decent Work and Green Jobs. The conclusions provided guiding principles for the greening of economies, enterprises and jobs, including building strong social consensus on the goal of and pathways to sustainability; the important role of social dialogue; and respect, promotion and realization of fundamental principles and rights at work. A basic policy framework to address the challenges of ensuring a “just transition for all” was put forward, with specific measures in nine key policy areas. 9. Social dialogue and tripartism. A further step in the development of this framework is the holding of a tripartite expert meeting of the ILO in October 2015. The three elements you mention in your article are included in the framework – and were adopted by Governments, Workers and Employers as essential to a just transition. This is a commitment we should build on – all together.